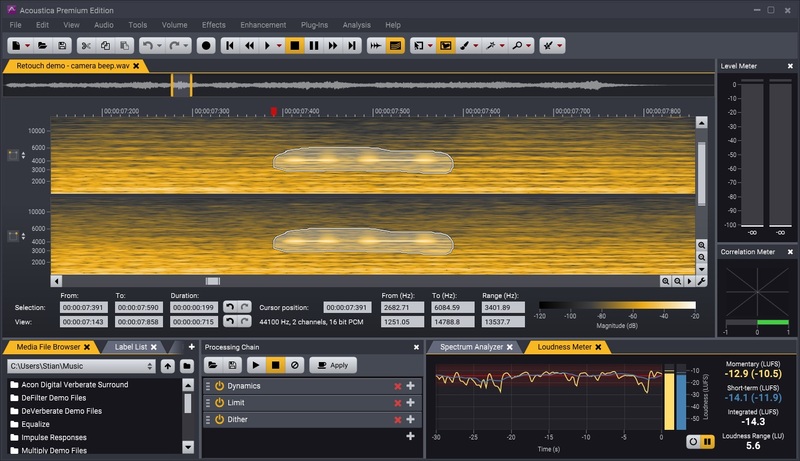 The spectral editing mode switches the normal waveform view to a spectrogram where you can make selections in time and frequency. 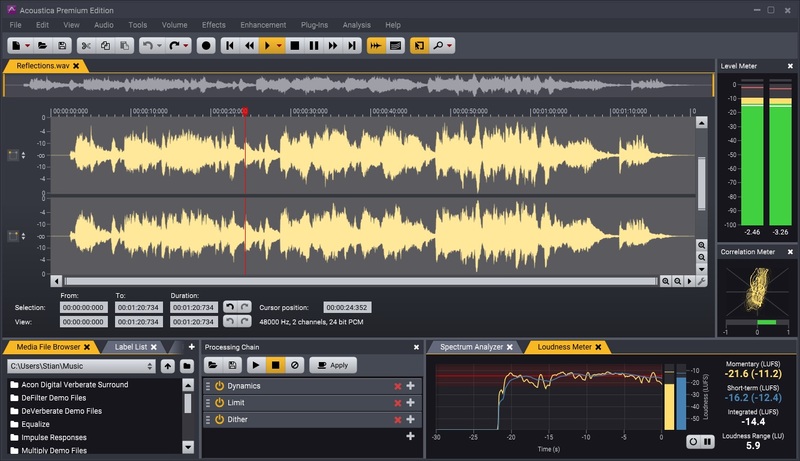 Subsequent processing is applied only to this selection and allows you to edit out isolated problems in the spectrogram. A specialized Retouch tool is available that attenuates noise using information from a reference signal in the surrounding clean areas. 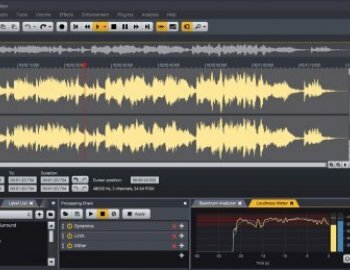 Acoustica can now automatically de-click splice points. Previously, care had to be taken to avoid discontinuities during editing. The new Automatic Splice De-click option ensures that clicks dont occur at the splice points.